Setting Crystal Report data source at runtime In advance, I've read all of the posts on here about dynamically changing the data source for your report at runtime and none of it seems to work. I developed a report against my development database using an MySQL ODBC connection.... Now go into the Database menu and select Set Datasource. Expand the Properties section and compare the two. You'll notice some significant differences. Expand the Properties section and compare the two. 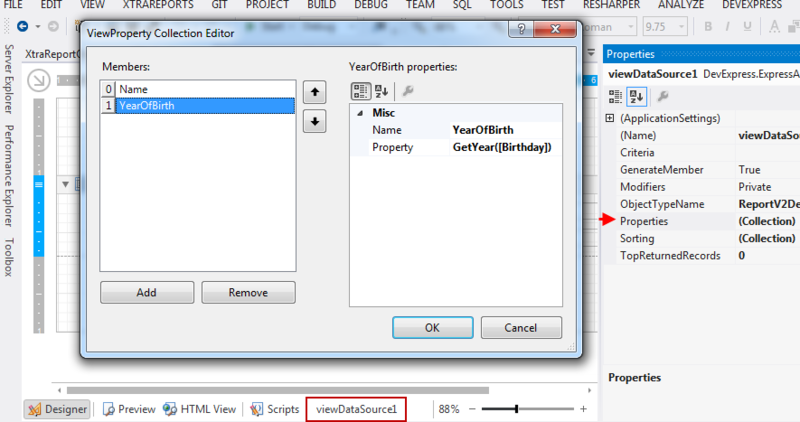 Crystal Report with 3 SubReports Dynamically add subreports in Crystal Report in VS-2005 How to change alignment of a Subreport field in crystal reoport at runtime how to get headphones with mic to work on computer 4/05/2015 · Hello Bill, When you set UriReportSource the viewer gets the file from the specified Uri and instantiates the report in order to display it in the viewer. How to change Crystal Reports datasource at Runtime? How to change crystal Report Datasource at runtime in VB6. 4/05/2015 · Hello Bill, When you set UriReportSource the viewer gets the file from the specified Uri and instantiates the report in order to display it in the viewer. I do not believe there is a way to pass the datasource as a parameter like you generally would pass a parameter for a report. The link below is a C# example of how to change the data source at runtime which may be able to help you work around your issue. So far, I can't find any information in the help files regarding how to dynamically set the datasource for the report and also how to dynamically assign a report to the reportviewer at run time. This should be as simple as setting a datasource property on the report at runtime and setting a report property on the reportviewer, but I can't find such properties.